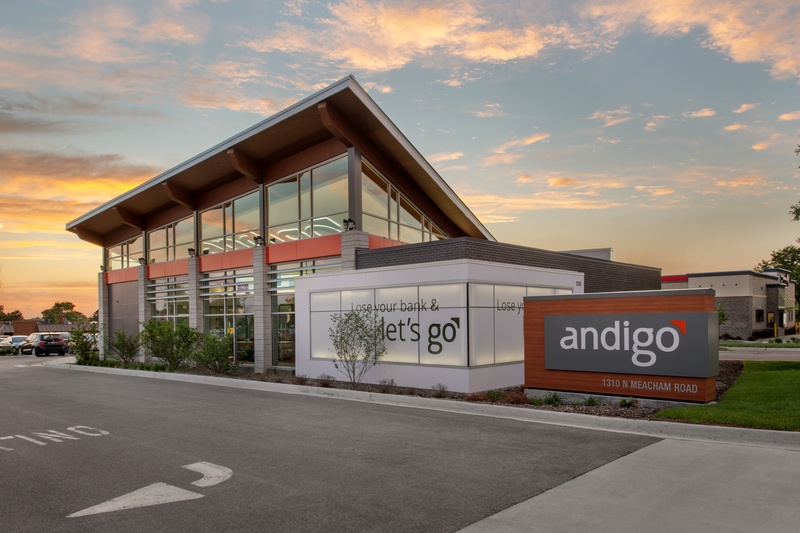 Andigo Credit Union rebranded in 2016 and wanted to infuse their new brand into their branches. 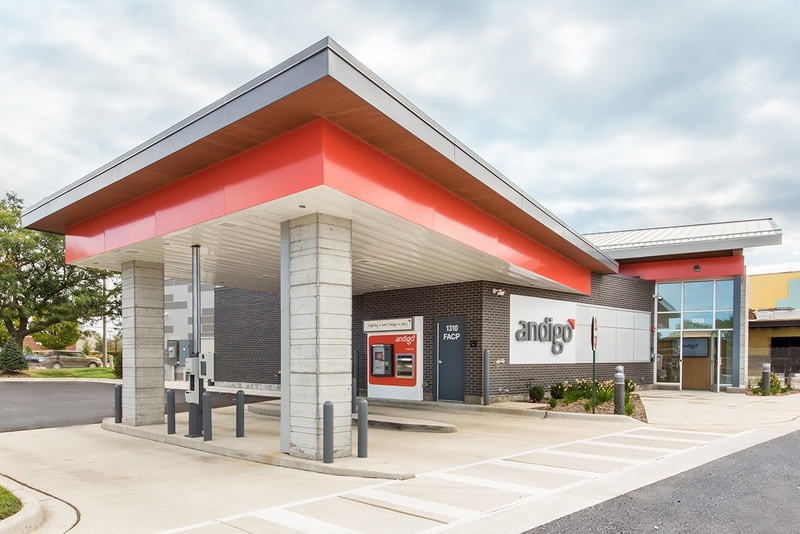 Andigo partnered with La Macchia Group to bring their brand to life starting with their Schaumburg branch. The new brand led the design for the exterior and interior of the building. Mimicking the logo mark, the slanted roof adds a unique branded touch while increasing the amount of natural light within the lobby. The clerestory windows act as an interior billboard for the custom branding on the lobby ceiling. 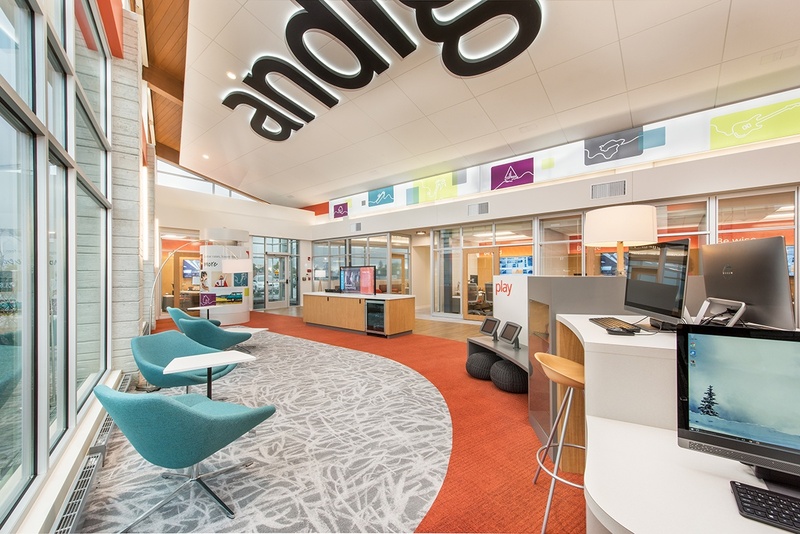 The interior reflects a fun, branded, modern experience for the members of Andigo Credit Union. 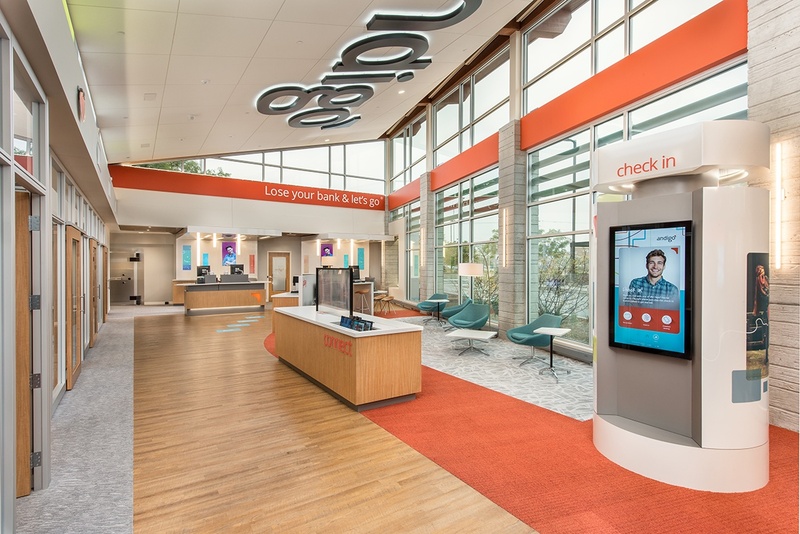 Upon entry, members can check in at the Check-in Kiosk and begin their financial transactions at the Connect Station. A digital canopy overlays the branded teller pods which also acts as a natural way finder in the lobby. Off of the lobby is the new "resi-mercial" inspired conference room. 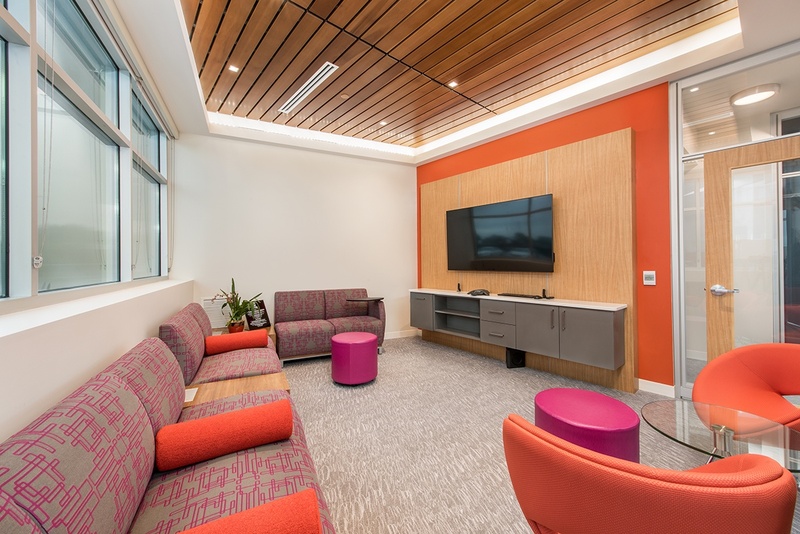 The room is designed to create open conversation without the barrier of a conference table. 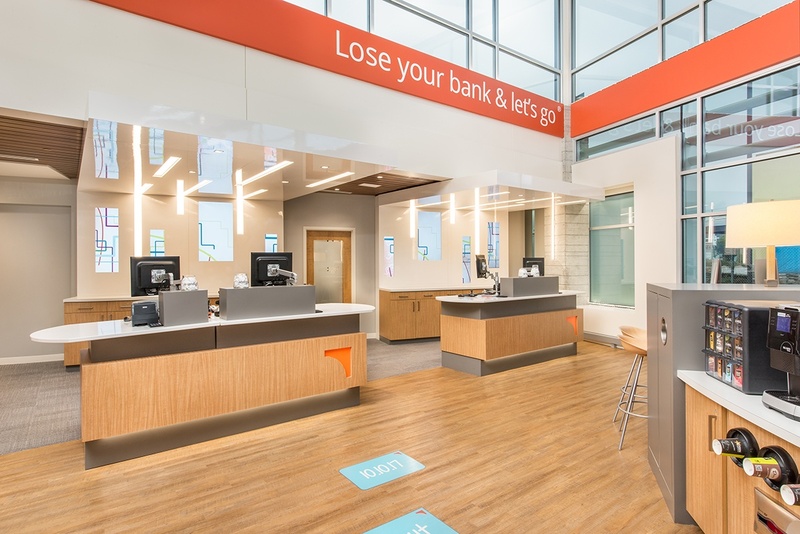 Andigo Credit Union's branch is truly reflective of the modern financial institution. "La Macchia Group delivered exactly what we needed. 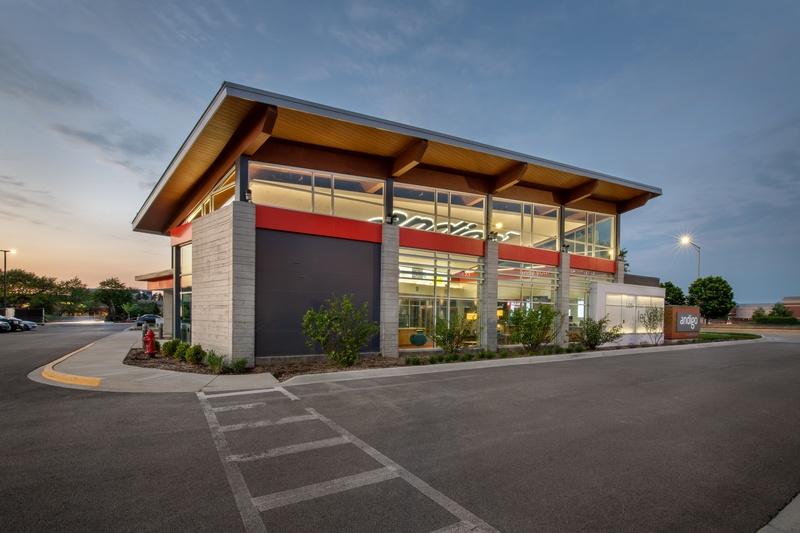 Our branch reflects our brand, and it truly stands out in our community. 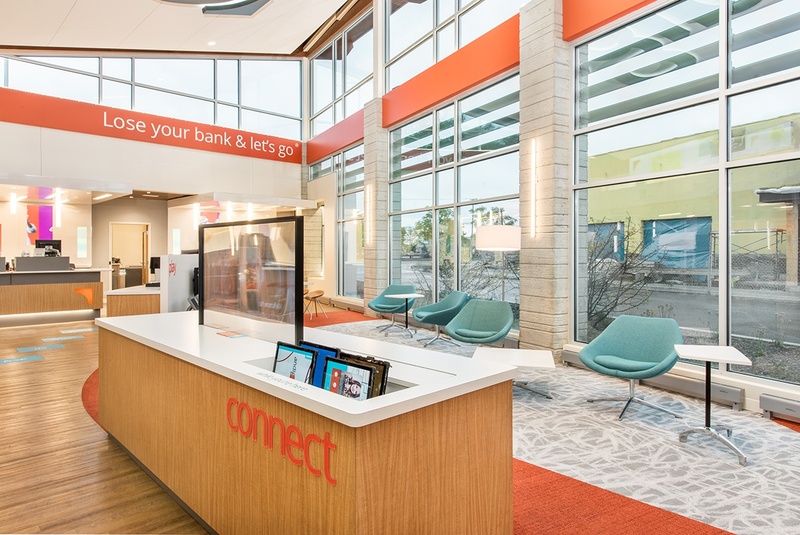 Everyone comments on the bright, bold, design and it's one of the reasons new members are joining the credit union. Your design team's process for determining the look and feel was very much appreciated. Your team asked the right questions, listened to our ideas and feedback, and turned our vision into reality."